Originally published in Volume Ten. Even though Boris Berlin designs for famous Danish brands like Muuto and GUBI, you probably wouldn’t notice his most widely produced object; a product used by people all over the world every single day; the Penol marker. But that’s what makes it so brilliant — after all, he says, good design is not necessarily there to be noticed. Boris Berlin moved from St. Petersburg to Copenhagen in the early 80s, where he co-founded Komplot Design — a studio that has received numerous design awards and recognition around the world. Around twenty years later, a new fruitful cooperation was born. 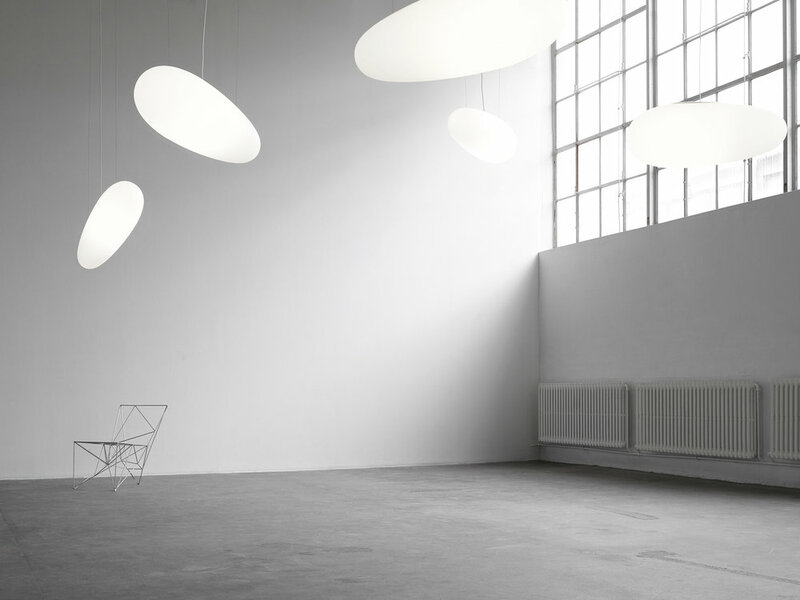 ISKOS — BERLIN is a partnership between Berlin and Aleksej Iskos, founded on their shared approach to design. Today they work in the fields of industrial, furniture and graphic design, always with a desire to introduce a novel twist to an ongoing (and unending) interaction between an everyday object and its owner. Take us back to the beginning. How did you get into the world of design? I’ve been drawing and painting for as long as I can remember, but at the same time, I’ve always liked maths and logic and the third dimension. At first I thought architecture might be the discipline that brought all of my interests together but, just before the entrance exams to architecture school I grew frightened of all the social and political limitations imposed on architects and by being responsible for a result that can spoil people’s lives for ages. So I chose design instead. I thought it was less damaging and political. I was very naive. You graduated in the Soviet Union in the 1974 and moved to Denmark in 1983. How would you describe the Danish design scene back then? My expectations back then were based on what I’d seen in design magazines. It doesn’t matter what kind of field you’re reading about, magazines give an impression of a ‘boiling’ process. Reality is always less condensed. However, it was indeed well functioning design in the industrial landscape of that time. For example, in the middle of the 80s The Association of Danish Furniture Manufacturers had 600 member factories. Famous design producers like B&O, DSB and so on, were in full swing. And the relationship between design and industry was quite well established. There were relatively few design companies, but they were known and respected. The organisation has changed. Today, sales and marketing, design and manufacturing, business and so called ‘lifestyle’ industries are no longer ‘chained’ together. Very few companies still have the in-house design force (automotive is probably an exception). Design was set free. Or maybe it became an orphan. Initially industrial design was growing on the ‘tree’ of the manufacturing industry. Like apples on an apple tree. Today the tree is gone, but the apples remain, for better and for worse, and they have to find their new position and path. Moreover the internationalisation of our trade found its place: Danish designers increasingly started working with foreign brands and Danish brands with foreign designers. Not to mention the global geography of sub-venturers and suppliers. After 23 years with Komplot Design, Iskos – Berlin was founded. How did this new partnership come about? In 2010, two partners of Komplot Design — myself and Poul Christiansen, decided to open up our relationship, giving each other the possibility to play with other musicians. At the time Aleksej had been our assistant for 12 years so it was a natural moment for Aleksej to become a partner, and the story began. You’ve said that you see design as an art of storytelling. Can you explain? Basically, everything people do is storytelling. It doesn’t matter if we are aware of it or not. The difference between a designer and an unaware person, is the fact that the designer can tell it in a way that’s understandable for himself and others. This story is normally quite complex, consisting of semantics, morphology, materiality, technology of objects and many other elements. But the clearer your story is, the more likely people are to understand it. The more surprising you make your story, the more likely they are to remember it. And finally, the more you make people smile, the more likely they are to love it. Do you think that people take industrial design and everyday objects for granted? Yes, people take design for granted. But that’s OK! This is actually how it should be. While bad design gets noticed, good design is not screaming for attention. It is just there, not always obvious and sometimes even anonymous. I know, there is an ambivalence in what I’m saying, after all every designer and every editor is striving for recognition. The trick is to find an equilibrium between anonymity and distinction. How do you make sure you challenge both yourself and what’s considered to be Danish design today? We are trying to reveal the essential, the iconic substance of objects. The world of artefacts has existed for ages. We are just translating, interpreting stories that are already written in an old, sometimes even forgotten language, into a language we use today, and will use tomorrow. We are trying to see how things have not been done before, find possibilities that haven’t been used before, either because they were overseen, or because they were considered ‘risky’. The development of technology makes it possible to create a new idiom. This is how a lot of our products came to be born, including NON — the first and still the only polyurethane rubber mono-block chair, GUBI — the first industrially produced 3D veneer chair, and NoBody — the first PET felt mono-block chair, as well as the Fiber chair and Soft Edge chairs among others. Though I don’t think it’s our aim to challenge ourselves or Danish design as such, we’re just curious people and we try to do our best.